The legal marijuana industry isn’t made up solely by growers and budtenders; in fact, the cannabusiness is brimming with opportunities across industries to bolster the sale of cannabis products and development of cannabis culture. 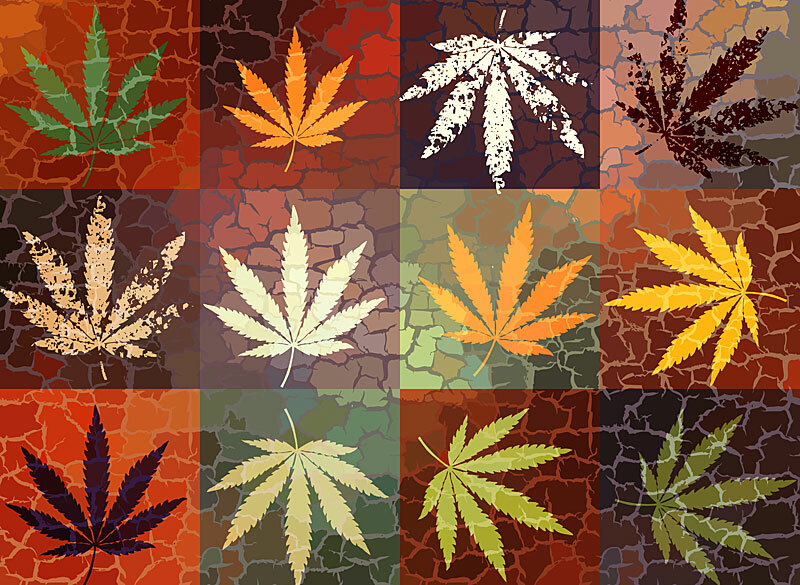 Marijuana graphic design jobs are important in bringing cannabis culture into mainstream consciousness. Graphic designers have a dual purpose of presenting advertising information in an aesthetically pleasing product. As cannabis dispensaries and processing companies compete for customers, marijuana graphic design jobs are increasingly in demand to elevate businesses above the pack. What are Marijuana Graphic Design Jobs? As a group, graphic designers are some of the most employed “artists” as their creative work is in high request by advertisers and other businesses. Marijuana graphic design jobs can take a number of forms, including freelance work, as well as agency employment. There is no limit on job opportunities for designers, especially since marijuana law is constantly updating and fluctuating. Pot shops are cropping up in patches around the country, providing highly requested, diverse strains of cannabis flower, concentrates, tinctures, edibles and topicals. With each passing year, more dispensaries are opening as states award recreational licenses to entrepreneurs. While the demand for cannabis products is strong across the country, the high concentration of stores in hub cities like Portland, Oregon and Denver, Colorado are encouraging businesses to step up their marketing game by contracting out marijuana graphic design jobs. Designers create logos, letter pamphlets and any other creative advertising literature to increase brand awareness. Judging by dispensary storefronts, it may appear that all dispensaries are the same; however, cannabis connoisseurs know this to be untrue. All pot shops are unique in their selection of products, staff, prices, apparel and paraphernalia, and are suited to medical and/or recreational customers. While most cannabis dispensaries contract out graphic designers, marijuana dispensary jobs in reception and budtending may include basic graphic design and marketing responsibilities. In terms of elevating a brand, designers focus on creating logos and ads that focus on the most attractive aspects of a dispensary, such as low proces, organic products and friendly staff. One of the most obvious ways graphic designers have changed cannabis culture is by lessening the stigma and illicit associations with the drug, and presenting it as a medically effective, non-threatening product. In keeping with mainstream design, many cannabusinesses put out imagery that is clean, friendly and use updated jargon. The term is apparently in response to the uninhibited behavior the revolutionaries would demonstrate. These racist ideologies continued into the prohibition era, where black Americans in cultural hubs like Harlem were subjugated for their cannabis use. Believe it or not, the word “marijuana” has nothing to do with the plant itself. Cannabis is the name of the plant’s genus and has been adopted by many dispensaries, cannabis publications and consumers in attempt to reduce stigma. Another trend marijuana graphic design jobs are ushering in are more inclusive marijuana marketing campaigns toward consumers. Rather than creating material that appeals to a select group of stereotypical stoners, advertisers are broadening their reach in response to the widening demographic of individuals buying legal cannabis. Now, cannabis is being marketed to athletes, parents and grandparents, businesspeople and anyone else you could possibly think of! If you were to sit in the lobby of a popular cannabis dispensary, odds are you will find customers between the ages of 21-80 from all different backgrounds. Designers use bright, attractive, optimistic colors and packaging to take away any negative associations with cannabis and replace it with positive connotations. BudBoxes come with five different options: Soothe, Relax, Passion, Energy and Focus, giving customers a choice of what kind of cannabis experience they desire. By linking cannabis with different physical and emotional responses, “Hi” helps to restructure the American attitude toward marijuana as medicine. While there are plenty of marijuana graphic design jobs that highlight classic cannabis signifiers like the fan leaf and the color green, other design firms choose to modernize their approach to marijuana marketing by stripping away any stereotypical imagery and replacing it with chic representations. American arts and culture have historically identified with cannabis culture and its potential as a creatively stimulating substance. This is reflected in recent trends in fashion, celebrating cannabis and pushing the envelope for extensive reform. In addition to graphic designers, fashion designers and visual artists are including conceptual portrayals of weed that heightens its branding potential. Marijuana paraphernalia has gone through a long evolution, following the current of modernization and consumer ease. Vaping has become a predominant practice for cannabis novices and regular smokers. As popular culture posits the downfalls of smoking marijuana flower, vaporizer creators are doing their best to make sleek, discreet, effective products that can travel. Social media has been a major factor in popularizing paraphernalia products. Many celebrities vape and capture the activity on film and video, making it en vogue to carry a vape in your clutch or backpack on the way to the club or the study lounge. Graphic designers use the young, trendy consumers as inspiration for their product design and advertisement. The last few years of legal sales has shown that medical patients and recreational customers alike appreciate having a wide variety of substances and methods for consuming cannabis. Edibles have undergone somewhat of a cinderella story, transforming from boxed brownies to THC and CBD infused coffee and delicacies of every imaginable iteration. Graphic designers work with edibles companies to market the product in a way that makes it appealing, while complying with all regulations involving packaging. In addition to containing cannabis, edibles processors pride themselves on using high quality ingredients and sound cooking techniques to create elevated products. Acquiring marijuana graphic design jobs can be carried out in a variety of ways. Recent years have ushered in more niche marijuana marketing firms and graphic design agencies, as well as increasing freelance opportunities. Working for a design agency brings more consistent work and therefore, consistent pay. Freelance work on the other hand, carries the potential for making one’s own schedule and working remotely. Gaining industry qualifications can be done through consistent work experience and college degrees or certifications in art and design. Most employers for marijuana graphic design jobs are looking for job candidates with strong portfolios and passion for the cannabis industry. Having previous experience in cannabis certainly boosts a candidate’s potential to be hired. Specific qualifications for marijuana graphic design jobs include familiarity with the Adobe suite, including InDesign, Illustrator, Photoshop and more. Additionally, designers should be proficient using basic marketing software. If you are not simply just another expert in Adobe products but also the highly creative type, you may like our creative cannabis jobs article. Check it out if so. Graphic designer compensation can vary vastly, depending on the work environment and frequency of work. Payscale.com reported that the average wage for graphic designers across industries is around $41,000 a year. While this definitely isn’t bad if you are single or have a significant other supplementing your income, you will likely have to dive into another field entirely if you are looking for a job with a larger salary. Check out our popular high paying marijuana jobs article for some sweet positions that can net you that bigger payday. As more states legalize recreational cannabis, opportunities for job seekers associated and ancillary industries like graphic design have the potential to earn big in the green rush. As cannabis activists push for more social acceptance of the plant, graphic designers will constantly be on request to work with businesses and marketers to rebrand the cannabusiness under a professional, modern, medically beneficial light.